Given the age of the current Lebanese traffic law and YASA’s struggle and commitment of doing everything that would preserve public safety, YASA continues its efforts to create a new traffic law which takes into consideration the development of present transport sector and to benefit from international experience for the development of traffic safety in Lebanon. The legislative authority has a leading role in protecting people and preserving their rights. For this reason, YASA visited a large number of Lebanese deputies and discussed public safety issues. While some showed interest and desire towards improving the traffic situation, others were not concerned. MP Mohammad Kabbani, head of the Parliamentary Committee for Public Works, Power, Water and Transport (PWPWT), showed strong interest in protecting people and preserving their rights and persisted to improve public safety in all its aspects. - Reorganization of road transportation in Lebanon. - Preparation of a new traffic law. - Suggestions for a new driver’s license. - Dangers of disasters and group accidents. After lengthy discussions, YASA received a letter from the head of the parliamentarian committee for PWPWT emphasizing the committee’s will that YASA studies the current traffic law in detail and suggests the necessary amendments to suit the country’s needs. 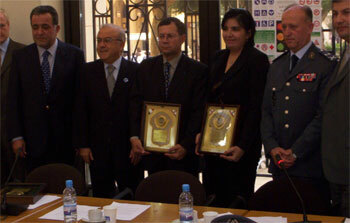 YASA accepted the challenge and submitted its final proposal draft of the new traffic law to MP Kabbani on June 2, 2005. 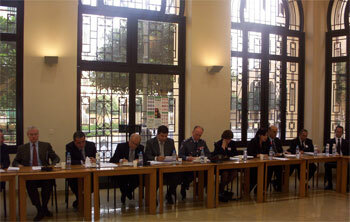 On January 9, 2004 and during the fifth national conference which was organized by YASA under the patronage of the Lebanese President, MP Kabbani emphasized the important role that YASA, syndicates, and other community service organizations play in protecting people and establishing a more civilized society. YASA renews its commitment to continue working until the new traffic law becomes a reality, and emphasizes its support to anything that might raise the level of road safety.